A local resident has kindly knitted and donated a number of teddy bears. These will be vacuum packed for safe storage and carried on appliances for children involved in emergencies. 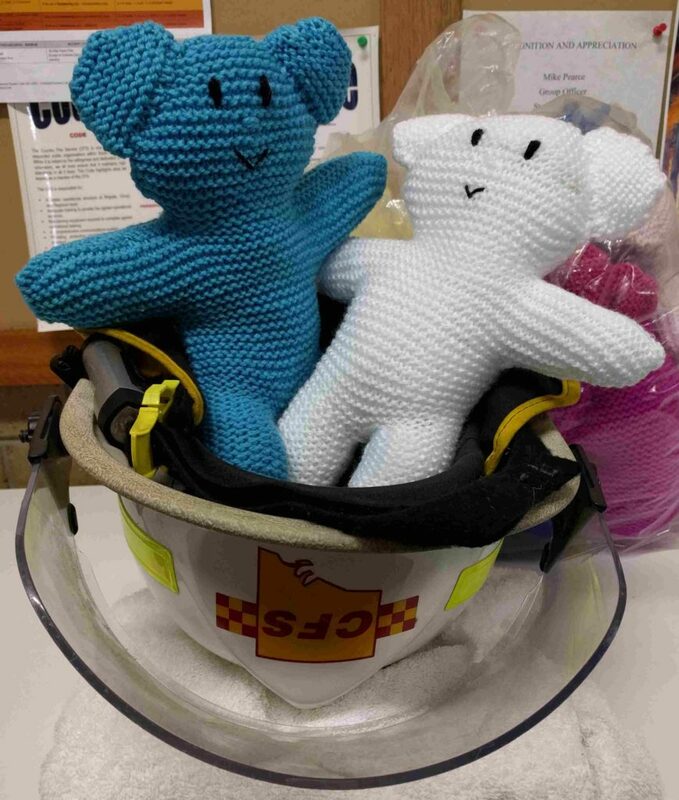 These are often referred to as trauma teddies and are carried by a number of services around the country. 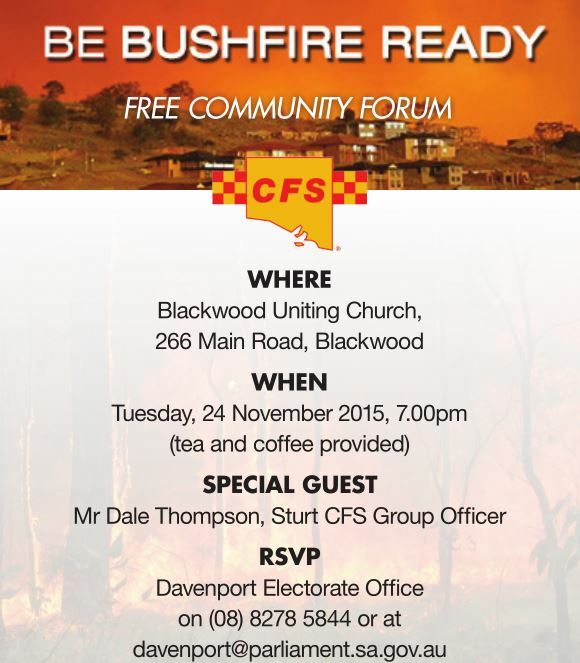 The Sturt CFS Group Officer Dale Thompson will be attending the Davenport electorate community forum at the Blackwood Uniting Church at 7:00PM 24/11/2015. 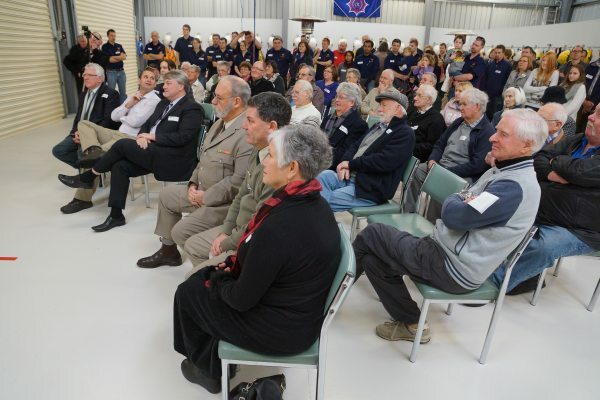 The forum allows members of the community to as questions around bushfire preparedness in the local area. To RSVP contact the office for the member for Davenport. 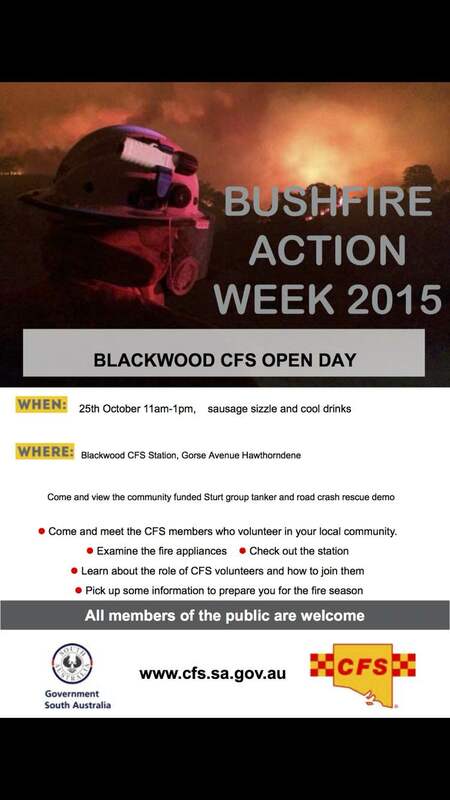 As part of bushfire action week 2015 Blackwood brigade is hosting an open day which will include demonstrations and ability to view the soon to be commissioned Sturt Group Tanker. The event will be held on Sunday 25/10/15 between 11am and 1pm at the Blackwood fire station Gorse Av Hawthorndene. The Sturt Group Bulk Water Carrier is almost here. 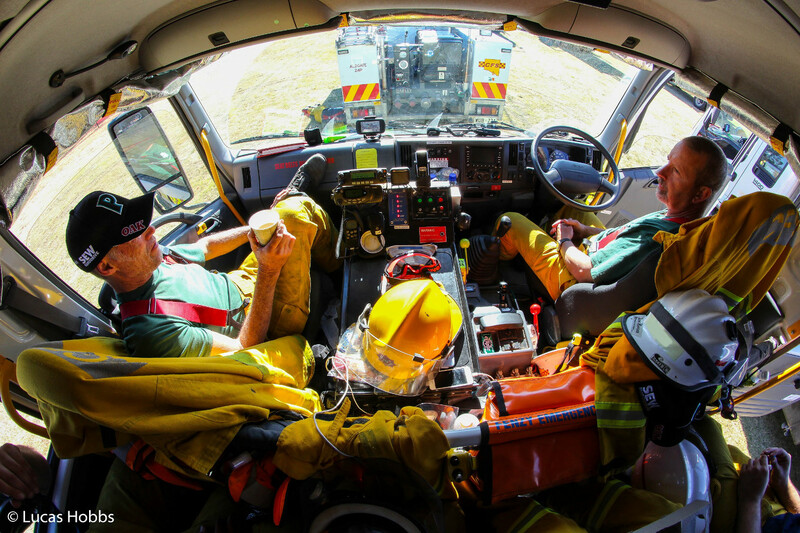 It is currently undertaking final testing and acceptance before being delivered to the brigade. 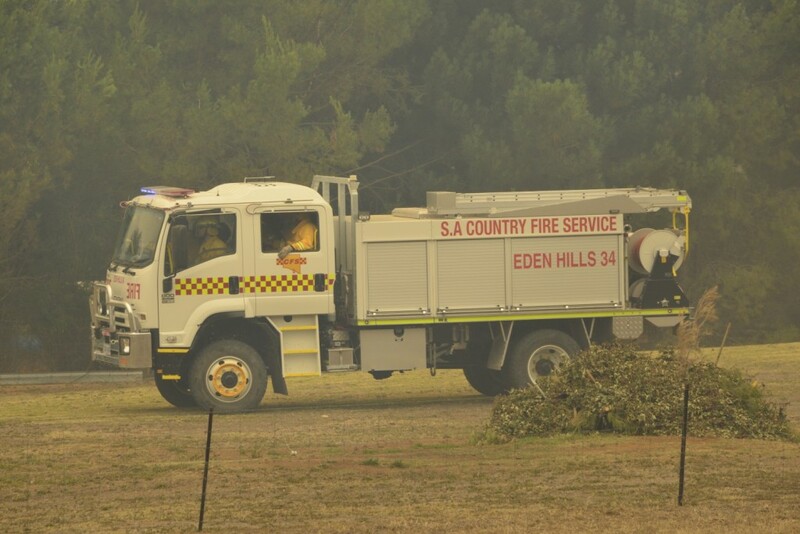 Late in the evening of Friday 2/1/15 the Sturt Group strike team was responded to assist in combating a large fire burning out of control in the Adelaide Hills to the North East of Adelaide. 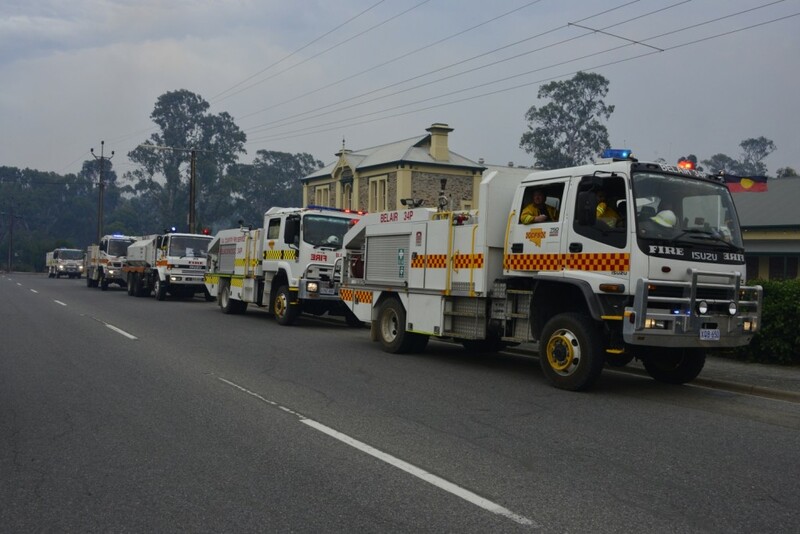 The Sturt Group strike team consisted of 5 appliances, one bulk water carrier and one command car. 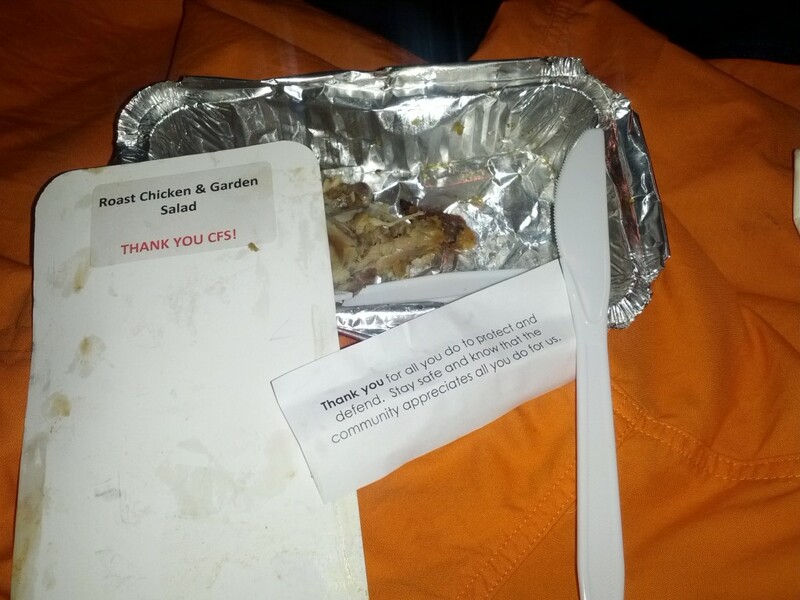 The strike team appliances remained in the area for more than 2 days with crews being rotated every 12 hours. 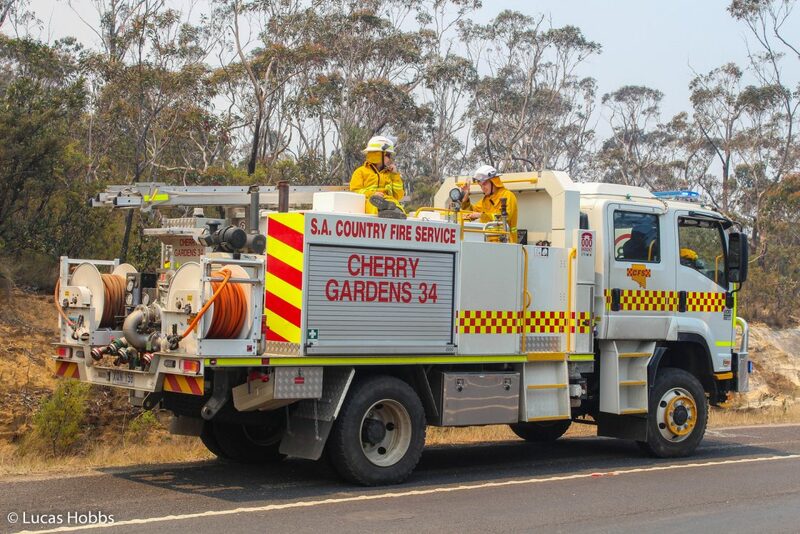 In addition to fire fighting crews a number of Sturt Group members were part of the incident management team providing operational and logistical support. 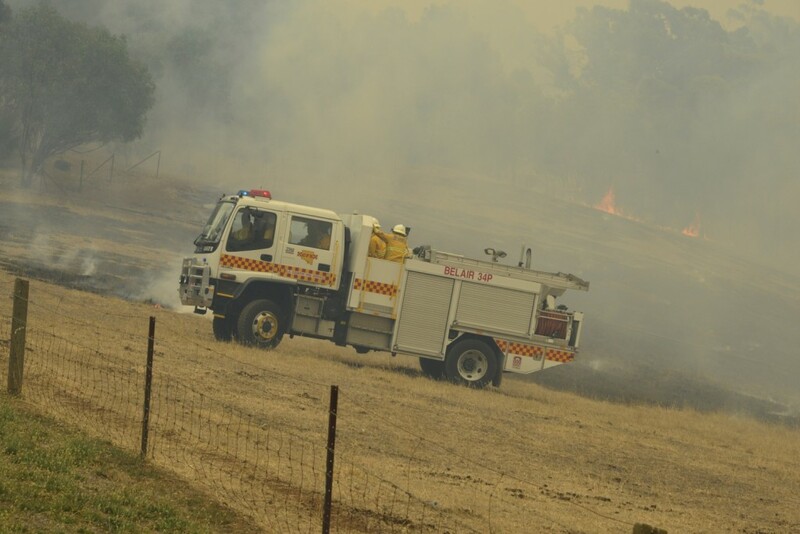 On Saturday 8/2/14 brigades from Sturt and Lofty Groups responded to a fire burning under extreme fire conditions in the Belair National Park. 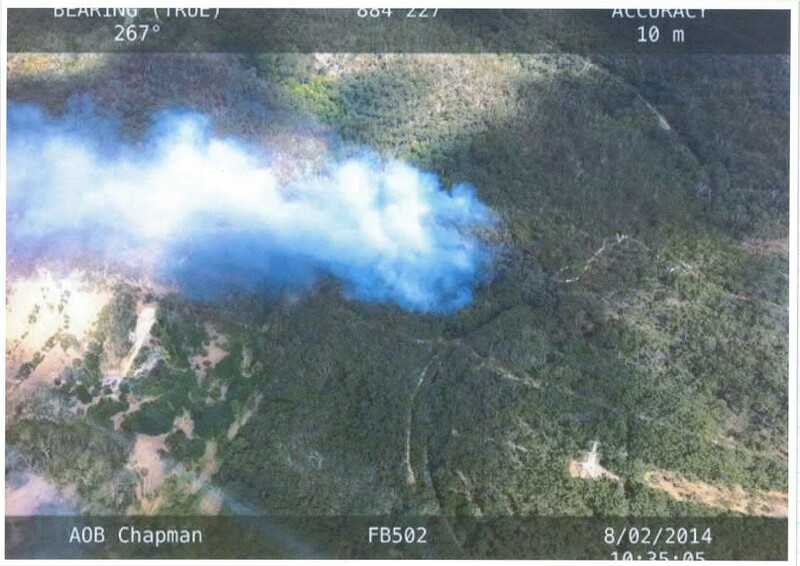 The fire was quickly contained with the assistance of water bombing aircraft and National Park crews monitored the area for several days to extinguish re-ignitions. 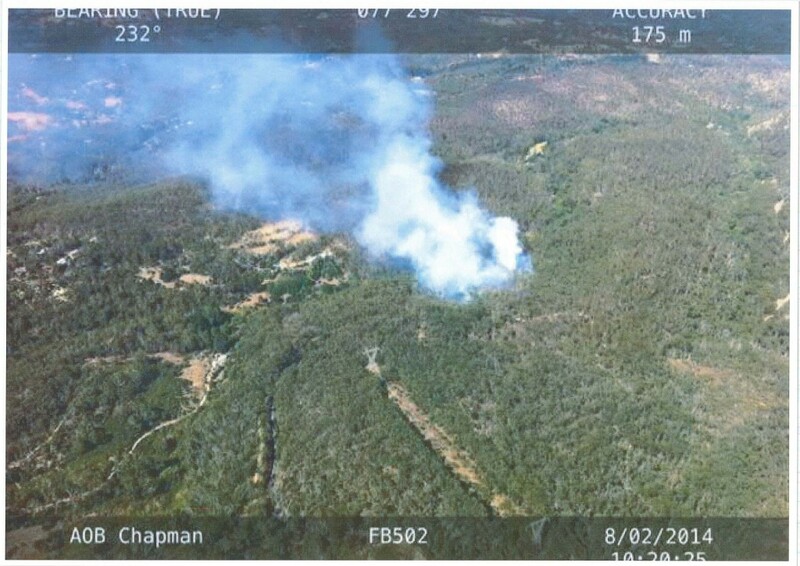 Photograph of the 8/2/14 fire in Belair National Park taken by a CFS helicopter. 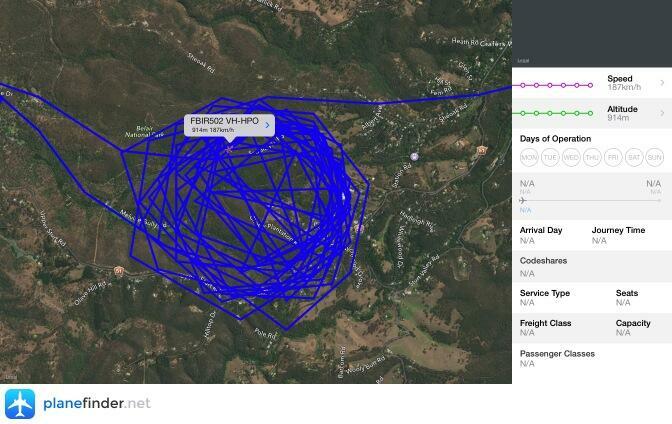 A track of Fire bird 502 circling the fire in Belair National Part. 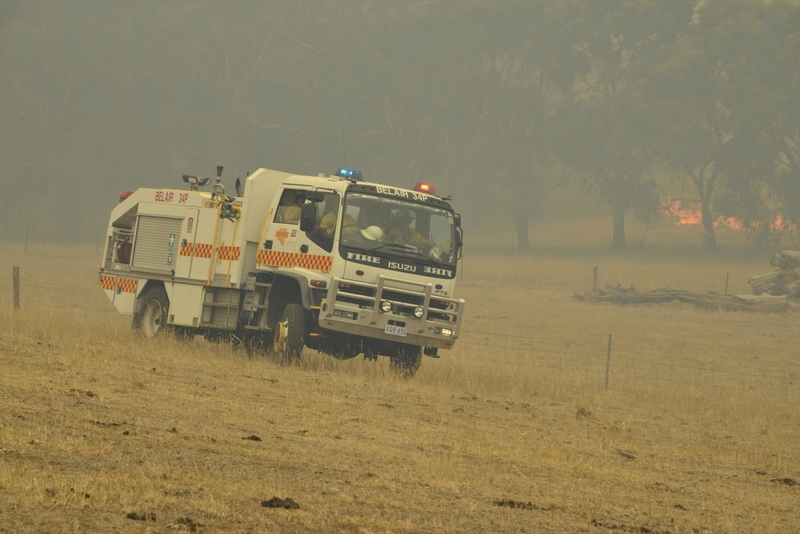 The helicopter is used by the CFS to direct both ground are aerial resources. 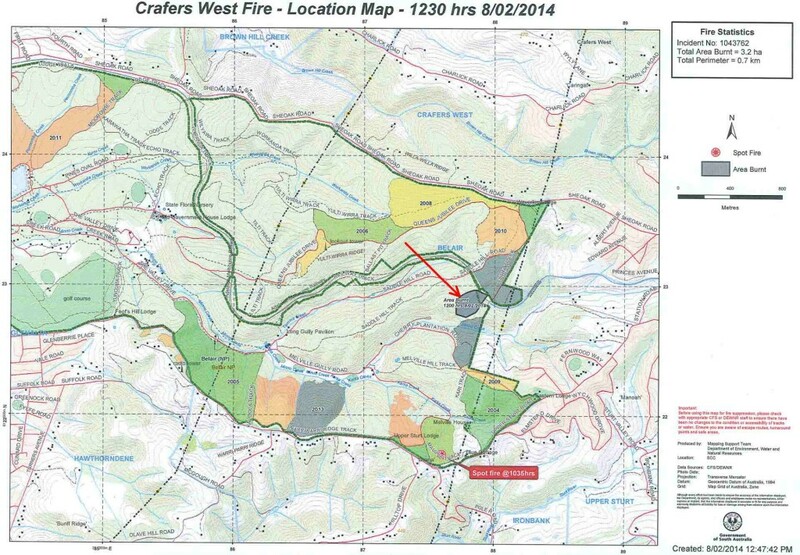 A map showing fire area in Belair National Park. A red arrow points to the area burnt 8/2/14. 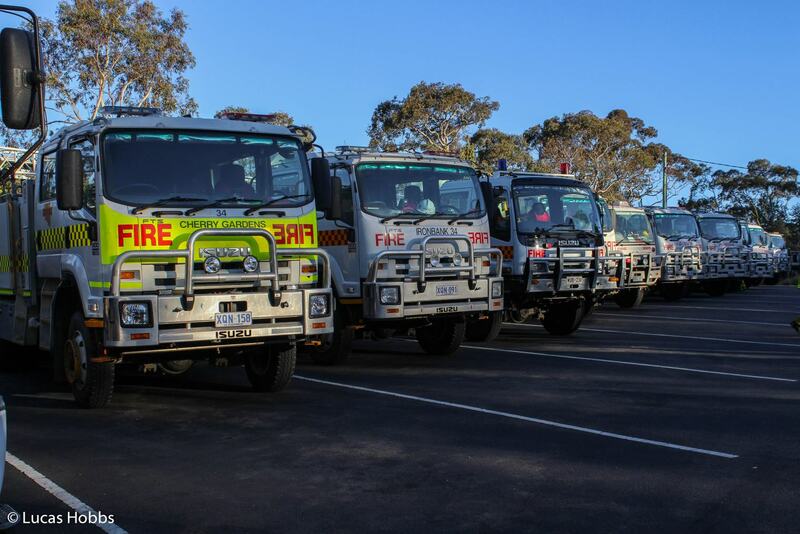 The Sturt CFS Group has launched a fund raising appeal for the purchase of a water tanker. 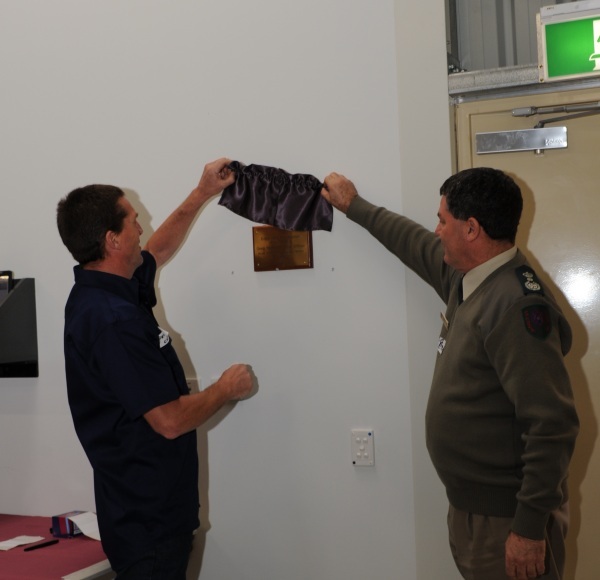 This additional tanker will improve fire cover provided to the residents of the area by increasing the operational effectiveness of the Sturt CFS Group. Further details are available on the tanker appeal page. During October personnel and two appliances from the Sturt CFS Group deployed to NSW as part of the SA component assisting in combating a number of fires burning across the state. 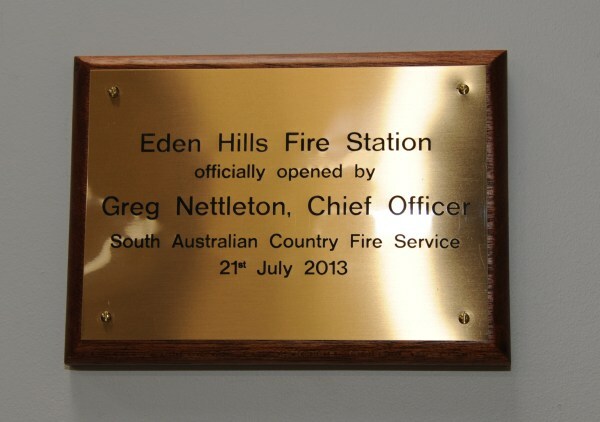 On the 21st of July 2013 the new Eden Hills fire station was officially opened by Greg Nettleton the CFS CO. The new station has three appliance bays, meeting room and crew facilities. 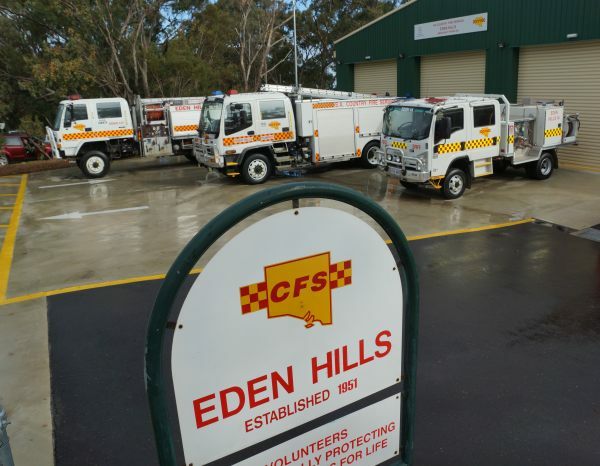 Eden Hills brigade has moved into its new station. Building of the new station involved the demolition of the old station and environmental remediation of the site. 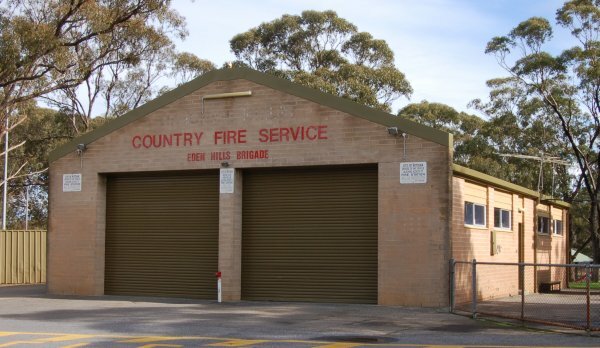 During station construction Eden Hills appliances were housed at other Sturt Group stations and at the Wittunga Botanic Gardens. The new station has 3 large bays capable of housing modern appliances with improved operational spaces and facilities for members.